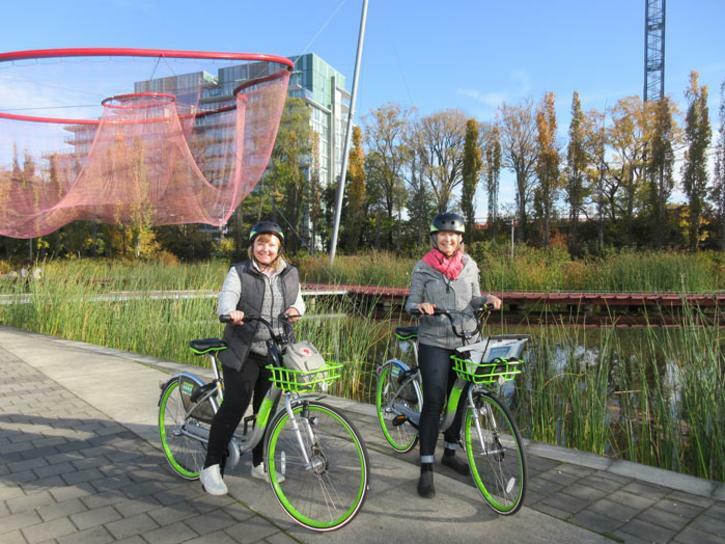 Locals and visitors have a cool new way to explore the city on two wheels following the introduction of an easy-access public bike share program. U-bicycle launched quietly last fall but, with warmer weather and blue skies on the horizon, this is the perfect time to give it a try—and discover a city that’s ideal for pedal-based urban adventuring. 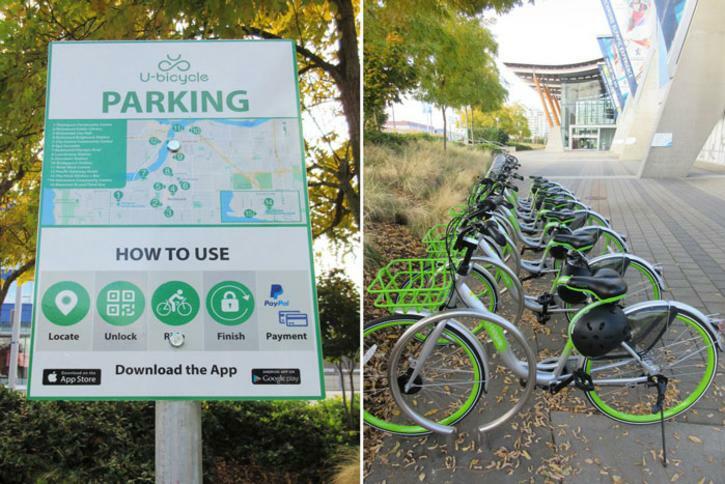 First-timers start by downloading the U-bicycle app, registering their account, and paying a one-time $50 refundable deposit via credit card. 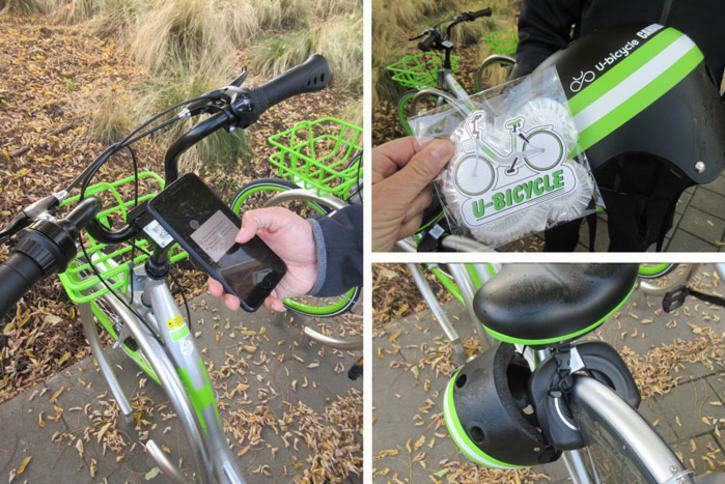 The easy-to-follow app, complete with full instructions, points you towards your nearest available bike and, once you reach it, you unlock it by scanning a QR code. There are currently 75 bikes at 15 city parking stations, with 20 more stations expected by the summer. Station locations range from Steveston Village to Bridgeport Station and from City Hall to the Richmond Olympic Oval. Rates, payable on top of your initial deposit, are $1 per 30 minutes; $15 for a 24-hour pass; or $150 for an annual pass. New registrants receive their first two hours free. You can pick up and drop off your bike at any parking station and, once it’s locked via the app, your account is charged. But after you’ve mastered the U-bicycle system, where should you go? MacDonald’s map-based book—available at Indigo bookstores, Waves coffee shops, and via her Let’s Go Biking website­­—includes six enticing Richmond routes. Some of them, she says, are among her favourites in the region. “I love the Steveston South Dyke Trail. 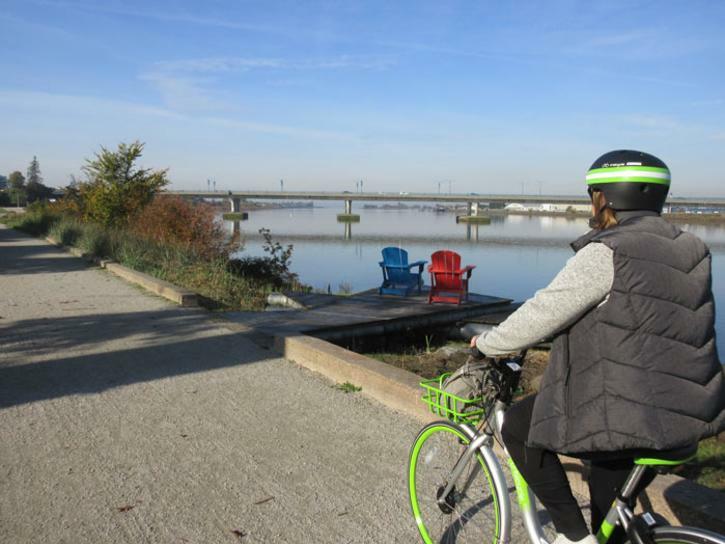 It’s 10km each way and it’s great for families and bike-riding beginners—you can go as far as you want,” she says, describing a route that starts in historic Steveston Village before weaving alongside swathes of shoreline nature where bird-spotting opportunities abound. Preparation-wise, although each U-bicycle comes with a helmet (disposable helmet liners are provided), MacDonald recommends bringing a few essentials along for the ride. “Everyday clothes are fine but I’d suggest bringing sunglasses, sunscreen, and some cash for that essential ice-cream stop.” Each of the green-trimmed bikes, she adds, also has a handy basket and water bottle holder. Visit our biking page for more inspiration, and download a copy of U-bicycle&apos;s brochure here. Visit LetsGoBiking.net for more information on biking in Metro Vancouver.